Entrust your child to an experienced, kind, and genuine staff devoted to his or her success. Kimber has been a part of the Kiddie Kollege family for quite some time, but began as Director in 2007. Before her time with Kiddie Kollege, she worked in other childcare centers, bringing her tenure in the industry to 16 years. She finds her job incredibly rewarding because of the chance to see students grow into what God has created them to be. She is truly proud of her team and enjoys creating a fun and enjoyable environment. Kimber also loves to sew, plan parties, and take pictures of her family! Sheila has been with Kiddie Kollege for 18 years. In that period of time, she has also transitioned into leading the Children's Ministry at Lafayette First Church of the Nazarene, the home to the preschool and childcare center. Sheila loves her job because there is nothing better or more important to her than people and families, and most of all, she enjoys her morning greeting of at least one child yelling her name and running to greet her with a smile and a hug. Shelia loves to be involved in the community and playing the piano. 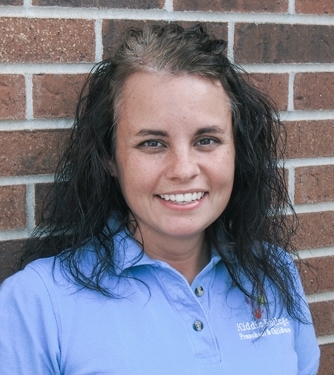 Deanna has worked with Kiddie Kollege families for over 8 years. She loves the atmosphere she gets to be a part of on a weekly basis, between the interactions with her co-workers and the warm greetings from the students. When she is not at Kiddie Kollege, she enjoys spending time with her family playing games or camping. She also loves puzzles. Most of all, she likes to spend her free time with her grandchildren.